Cinco de Mayo. Here in the United States it's the yearly celebration of Mexican heritage and pride. Even if your ancestors are Scots, it's still a good reason to through a party. 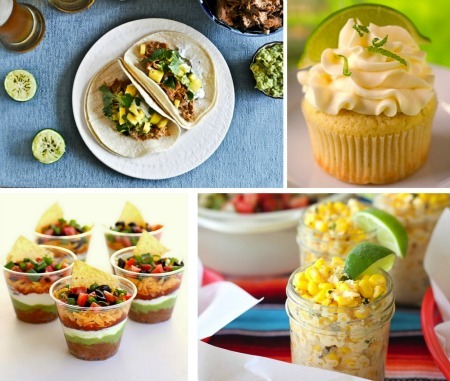 Who doesn't love the flavorful food and tangy margaritas? 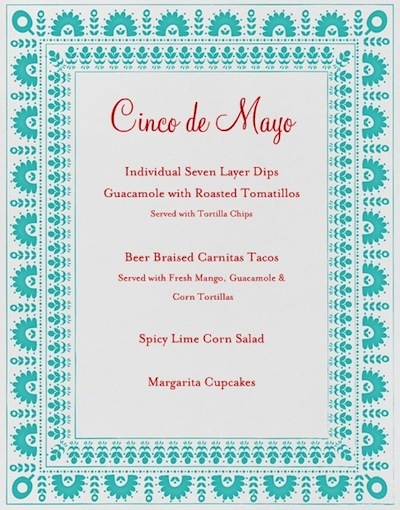 While I'm not hosting a fiesta this year I've still created a delicious, simple feast to be shared with friends and family. 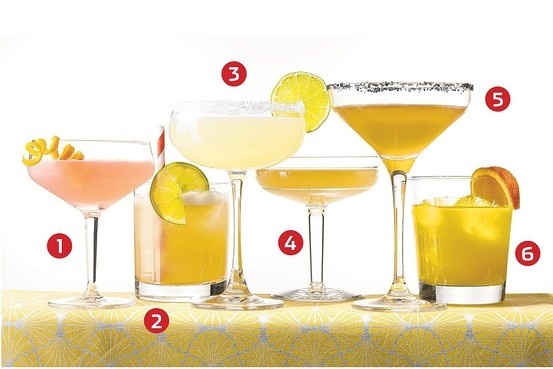 You can't go wrong serving a classic Margarita but why not offer some variety for your guests using some of these recipes. 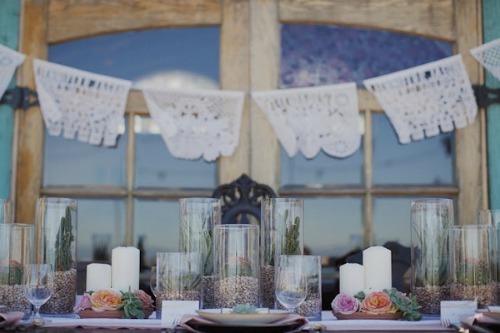 Like the menu, I'd prefer to keep my tabletop and other decorations simple and tasteful. 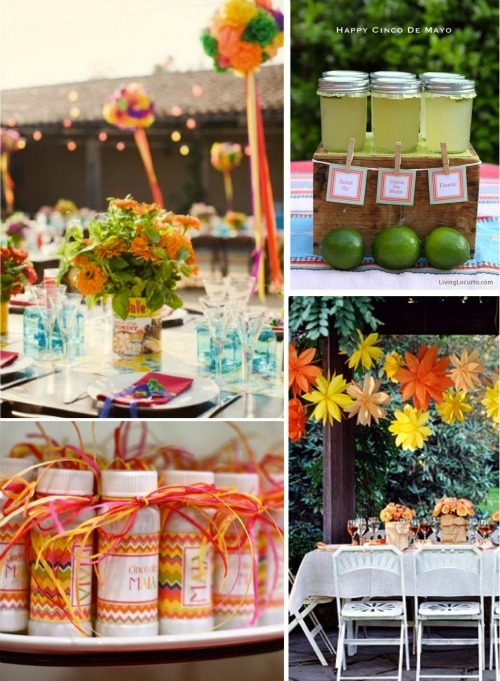 You're busy so you want to make your entertaining as effortless as possible. 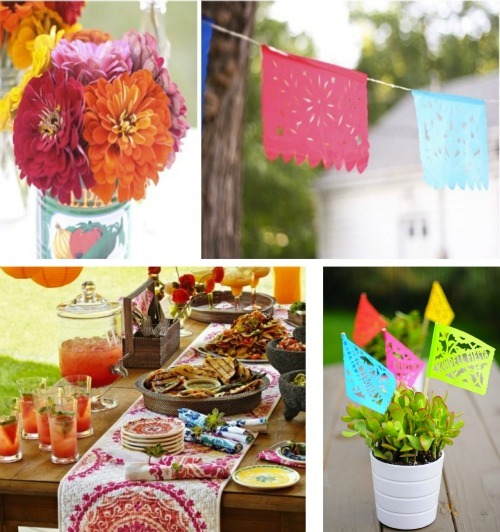 Grab a colorful tablecloth, some brightly colored flowers or succulents, some traditional decorative flags or pennants and pair with your daily dinnerware and you're ready for la fiesta.